Radley Balko has another nice article at The Huffington Post about Cory Maye's impending walk to freedom. In this one, Radley takes us inside the courtroom as the judge is finalizing the agreement between the prosecution and defense. This passage really caught my attention. [Judge] Harrell then lays out the plea, and asks several times in several different ways if Maye understands and accepts the terms of the agreement. "Yes, sir," Maye says. Harrell then turns to the prosecution to ask if they're still amenable to the plea. [District Attorney Hal] Kittrell then reads a statement that for Maye, his attorneys and his supporters is one of the more satisfying moments of the last 10 years. Kittrell says that the state's decision to agree to a lesser charge came not only in response to the decision from the Mississippi Supreme Court, but in light of "new evidence" that had come out in recent years. 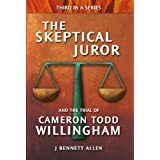 DA Kittrell could have performed his task without adding the part about the new evidence that had come out in recent years. By adding it, he conceded that the State of Mississippi had, at a minimum, overcharged Cory Maye with capital murder. I give him credit for being an upright guy. As a society, we must be willing to admit when we have wrongfully convicted someone, and we must fight to free them. We should not fight blindly to keep the wrongfully convicted imprisoned, nor to see them executed. DA Kittrell did not elaborate on exactly what new evidence had convinced them to free Cory Maye. His silence on the matter is both frustrating and tantalizing. It allows me to imagine that some of the original observations and insights I presented in my book played at least a small role in Cory's release. In no means do I want to detract from the real heroes in this saga. Radley Balko, Bob Evans, Abe Fortas, Ben Vernia, and numerous others working long pro bono hours deserve the real credit. Though I sent unsolicited copies of my book to some of them, I have never spoken with any of them, or any of the family for that matter. I wrote my Cory Maye book as an outsider to the case, as I did my Willingham book. I relied extensively on information that others had uncovered, collected, and made public. Nonetheless, I believe I may have uncovered new, additional evidence of Cory Maye's innocence, as I did in Willingham's case. 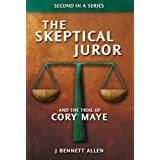 From The Skeptical Juror and the Trial of Cory Maye, I offer the lead-in comment to the Notes section of my book. That the raid may have been orchestrated primarily by Darryl Graves. That Ron Jones met with Darryl Graves earlier in the day to discuss and plan the raid. That Ron Jones and Darryl Graves may have together surveilled the duplex on Mary Street, and that the surveillance may have consisted of nothing more than a simple drive by. That Darryl Graves may have remained behind at the Prentiss police department while Ron Jones led the raid, and that this behavior caused him to be unable to hear the three gunshots from within the Cory Maye apartment. That Darrell Cooley may have never kicked or shouldered the front door to Cory Maye’s apartment. That Ron Jones and Darryl Graves may have planned to enter through the rear door due to difficulties associated entering through the front door. That Ron Jones may not have been wearing his bulletproof vest. That Darrell Cooley’s testimony about removing Ron Jones’ vest may be contradicted by Ron Jones’ autopsy report. That the clothing proffered by the State of Mississippi may improperly represent that worn by Ron Jones on the night of the shooting. More specifically that Ron Jones may not have been wearing a vest, and that had he been wearing a groin pad as shown in the proffer, he may not have suffered serious injury. That Ron Jones may have entered the rear door of Cory Maye’s unit due to his unfamiliarity with the duplex and issues of left/right confusion. That the confusion between Terrence Cooley and Phillip Allday at the back of the duplex may have stemmed from the realization that Ron Jones was about the enter the wrong apartment. That Ron Jones may have used a battering ram to breach the rear door, and this use explains his failure to have his weapon drawn. That the abrasions on Ron Jones’ fingers may have resulted from his use of the battering ram. That the 35 degree left-to-right, front-to-rear track of the bullet within Ron Jones body may have resulted from the stance he assumed while using the battering ram. That the fatal bullet may have traveled nearly parallel to the floor, or only slightly upward, and that it may have struck Ron Jones in the abdomen because he had not completely climbed the steps. 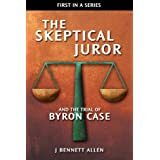 That Buddy McDowell may have had Dr. Hayne mark the entry wound on the finger-abrasion diagram to keep the entry-wound diagram from the jurors, and that he may have done so to keep the jurors from learning that the bullet could have changed its direction prior to entering Ron Jones’ body. In the end, however, wrongful conviction work is not about those who fight to free the wrongfully convicted. It is about those people who we (as a society) have wrongfully put behind bars. As advocates, we frequently work from easy chairs, while sipping a cool beverage and yelling at the cat. If frustrated, we can go out and walk. When tired, we can sleep in a comfortable bed with someone we love. When nature calls we can relieve ourselves in private. The quarter million Americans who are today wrongfully behind bars have no such simple freedoms. A couple years ago, I worked successfully to keep our society (us) from adding one more to the quarter million. Now, every day, I work to free two whom we have already put inside. Every day I work to free Byron Case and Michael Ledford. Maybe someday I will write something that will free one of them.